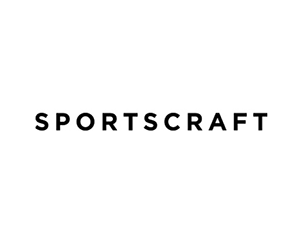 Sportscraft, founded in 1914, is one of Australia's most trusted fashion and lifestyle brands renowned for outstanding quality and consistent fit. Sportscraft is a leading retailer of quality womenswear & menswear. Some retailers have their own policies and restrictions. Before shopping, please ensure you review the Special Terms of Sportscraft AU (above) for further information. Complete your purchase in one session and without leaving Sportscraft AU. Do not click on any bookmarks or advertising banners or links once you leave ANZ Bonus Points Mall. Free domestic delivery on online orders over $200. For online orders under $200, there is a standard flat rate of $10 within Australia. Free delivery to New Zealand for all online orders over $200. Deliveries for online orders below $200 to New Zealand cost a flat rate of $25. Deliveries for online orders to all other international destinations cost a flat rate of $40. Domestic orders arrive 3-5 working days after being placed. International orders will arrive between 7 and 14 working days after being placed. You can return any Sportscraft items bought online, excluding Gift Vouchers and Outlet items, to any Sportscraft freestanding store (excluding clearance stores). For any Sportscraft Signature items, and any orders placed using Paypal, these can only be returned to the Online Store. The item must be unworn, unwashed and have the original tags still attached. You need to send the original receipt with your order. All returns must be made within 21 days of order date. Refund will exclude any postage costs. Due to hygiene reasons we cannot accept returns for swimwear, earrings, hosiery and lingerie, unless they are faulty.